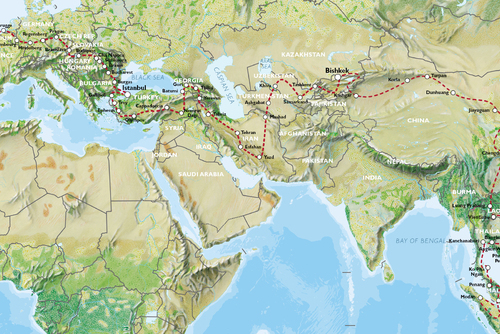 Join this epic journey, travelling Overland from London to Beijing. 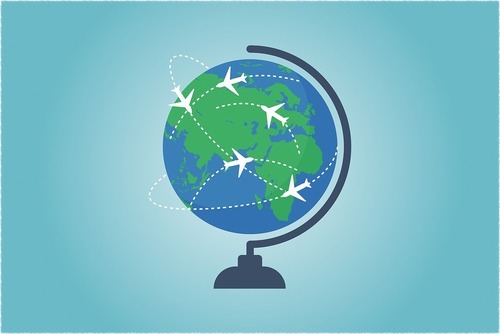 Visiting 17 countries, we see Europe’s most iconic cities, where UNESCO sites await us and ancient trade routes once flourished. 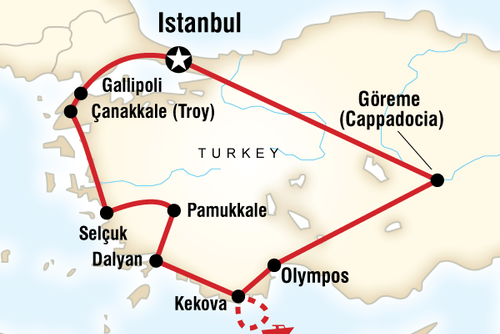 We arrive in Gallipoli for ANZAC Day before joining the old Silk Road and heading in to Iran following in the footsteps of Alexander the Great. 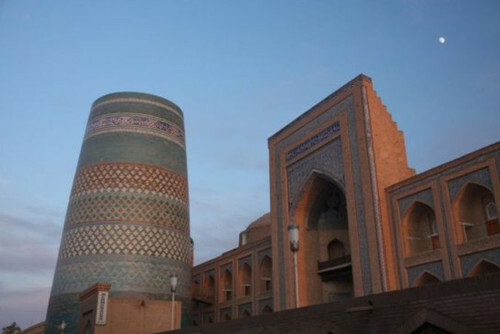 Central Asia will astound with its magnificent Medrassahs, Minarets and friendly locals. Crossing the mighty Torugat Pass we finally traverse China visiting the Terracotta Warriors, Chengdu Panda Sanctuary and ending on the Great Wall of China. 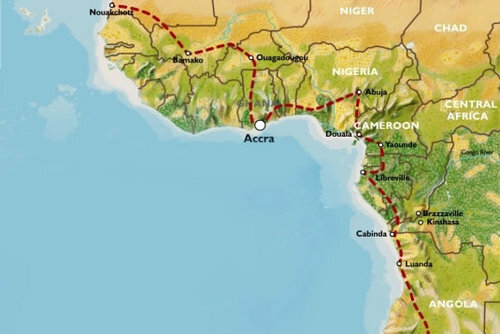 The Europe trip will be run in a 16 seater air conditioned bus, and not our usual Overland Expedition Vehicle. 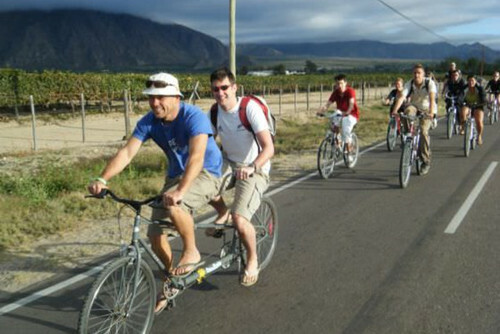 This transport allows us better access to the cities and places we will visit. Leaving London, we head to Dover and cross the Channel to Calais. Tyne Cot Cemetery (WW1), Ypres - the largest Commonwealth War Cemetery in the World. Brugge, Belgium - the ‘Venice of the North’ - a UNESCO World Heritage Site. 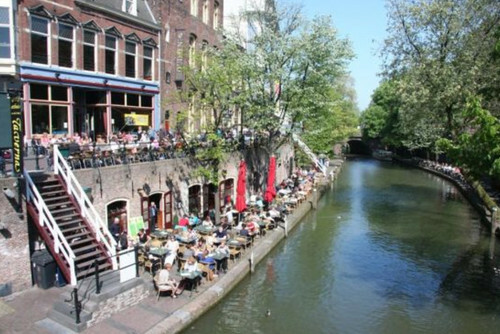 Try a locally brewed Trappist beer and wander the canals. Luxembourg (time allowing) – lunch stop and a look at this interesting city, set on several levels, dropping in to two gorges. Regensburg – built on a 13th Century trade route. Medieval Bridge spanning the Danube, crossed by the Crusades. Lunch stop at Pilsner Urquell Brewery, the largest beer hall in the Czech Republic. Prague (2 nights) - cobbled streets, hidden courtyards and possibly Europe’s greatest beer! King Charles Bridge (14th Century), the world famous Astronomical Clock in the Old Town Square, Prague Castle and the Jewish Quarter. 3 countries in one day! Czech Republic, Slovakia and Hungary. Bratislava, Slovakia, wander the old town and have lunch in one of the many bars or cafes. Stop off at either Esztergom or Visegrad for a stunning view of the Danube river (time allowing). Budapest (2 nights). Gothic Parliament Building, Castle Hill, Fishermans Bastion, Hero’s Square and St Stephan’s Basilica. Or visit a spa and take part in Budapest’s Coffee House Culture. Romania - Cluj Napoca,the capital of the Transylvanian historical region. Sighisoara - beautiful Medieval Town and UNESCO Heritage Site and also the birthplace of Vlad the Impaler, the character who inspired Bram Stoker’s Count Dracula. Brasov (2 nights) Built on the intersection of trade routes between the Ottoman Empire and Western Europe. Hiking up Tampa Mountain (3000 feet) and starting point for many hikes into the Southern Carpathian Mountains. Zarnesti - Libearty Bear Sanctuary – rescue centre for a great number of Romania’s native bears. 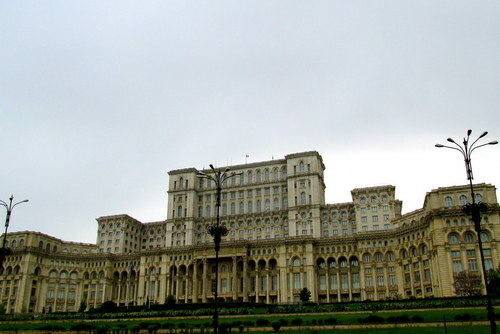 Bucharest – the bustling capital city of Romania. Bulgaria - Black Sea coast. We visit either small coastal villages around Nissebar, or the protected areas of Burgas Lakes, where we can find a myriad of bird life. Turkey – expect border delays and mayhem! Istanbul, the only City situated in both Europe and Asia! Visit the mighty 6th Century Aya Sofya mosque, the Byzantine underground cistern, Topkapi Palace or relax in a Turkish Bathhouse. Another free day in Istanbul to give time to collect visas if necessary. 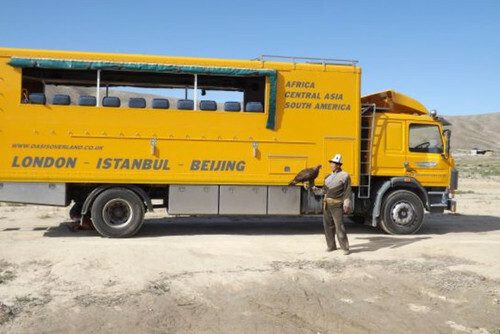 From Istanbul we transfer to our Overland Truck. Istanbul - Free day to enjoy the many sights and attractions. Troy - thought to be the location of the legendary city. Ephesus - built by the Greeks 1000 years BC, then rebuilt by the Romans. 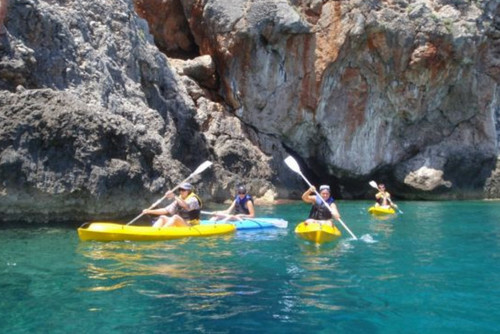 Turquoise Coast - relax along the beautiful beaches of this stunning coastline. 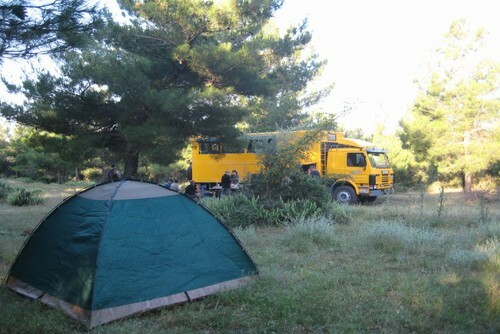 Olympos - relax on the beach & hike up to view the eternal flames. Cappadoccia - explore dwellings carved from the eerily eroded landscape. Lake Van - relax on the lake shore, visit Akdamar Island, or take in the history of Van Castle. 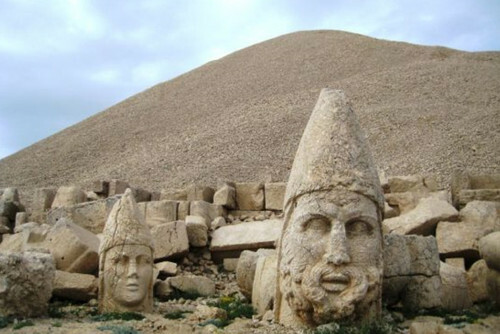 Eastern Turkey - explore the little visited Kars area close to the Armenian border. Dogubeyazit - overlooked by Mt. Ararat, the legendary resting place of Noah's Ark. 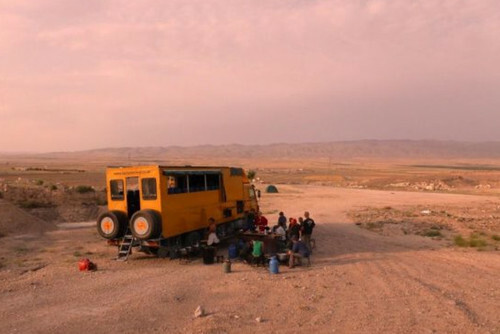 Follow the Zagros Mountain Range south in to the interior. Tabriz - explore the 35km labyrinthine bazaar and the Blue (Kabud) Mosque. Tehran - cosmopolitan city in the shadow of the Alborz Mountain Range. Esfahan - 3 nights to fully explore this stunning city. Take a guided city tour (optional) around Imam Square (UNESCO site) or just wander, find a local tea house and converse with the incredibly hospitable locals. 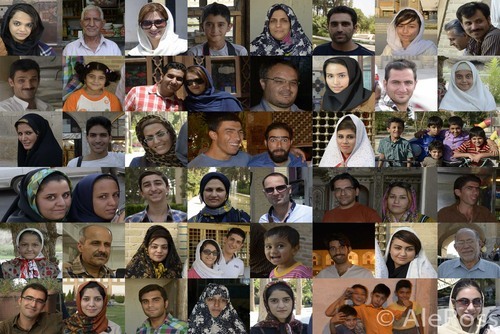 Persepolis – follow in Alexander the Great’s footsteps – some say this site is equal in grandeur to Ankor Wat and the Pyramids! Shiraz – once famous for its vineyards. Soak up the atmosphere in the tranquil gardens. 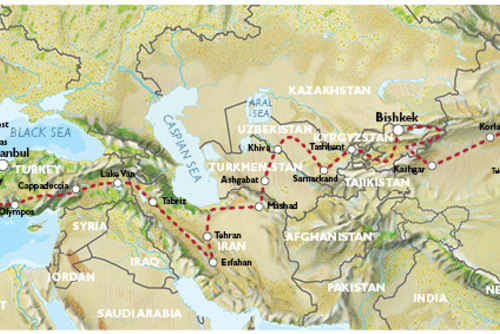 Visit one of the remaining Caravanserais that serviced the Silk Road. Yazd – mudbrick old town with winding lanes – one of Iran’s highlights. Mashhad - some 20 million pilgrims visit the incredible Imam Reza Shrine every year. Ashgabat - the fascinating and slightly bizarre 'White City', fashioned out of marble. unye Ugench - see the 60mtr high minaret! Aksu-Dzhabagly Nature Reserve – green valleys, wildlife and snow capped peaks! Lake Issyk-Kul - a massive mountain lake with magnificent scenery & loads of activities to choose from. Karakol / Jeti Orguz Region - hiking into the surrounding Terskay Ala-Too Mountains. Ala-Archa Nature Reserve - an option to go trekking to the edge of glaciers, in spectacular scenery. Torugat Pass - travel through the Tien Shan Mountains & cross the border into China. Kashgar - a major trading point on the old Silk Road. Taklamakan Desert - 272,000 sq km of slowly moving sand. Kuqa and the Thousand Buddha Caves. Turpan - visit nearby ruins of Jiaohe City. 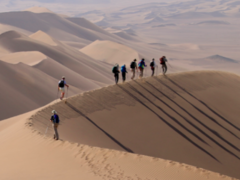 Gobi Desert - one of the hottest places on earth. Dunhuang - the famous Mogao Grottoes & the Crescent Moon Pool. Xiahe - Labrang Buddhist Monastery. Huanglong National Park - savour some of the spectacular scenery and hiking trails. Chengdu - visit the nearby Giant Panda Breeding Centre. Xi'an - visit the famous Terracotta Warriors. Overnight train to the capital. Beijing - day trip to visit the Great Wall of China; stay a few extra days to take in all the sights including Tiananmen Square, the Forbidden City & the Temple of Heaven.